Fireworks and discount perks only at TGI Fridays this Fourth of July! 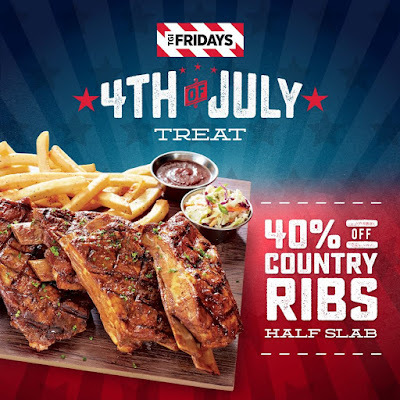 Enjoy 40% off half a slab of Country Ribs! *Valid for dine-in at all branches nationwide, maximum of 2 per table. Not valid in conjunction with other promos, including BFF cards.